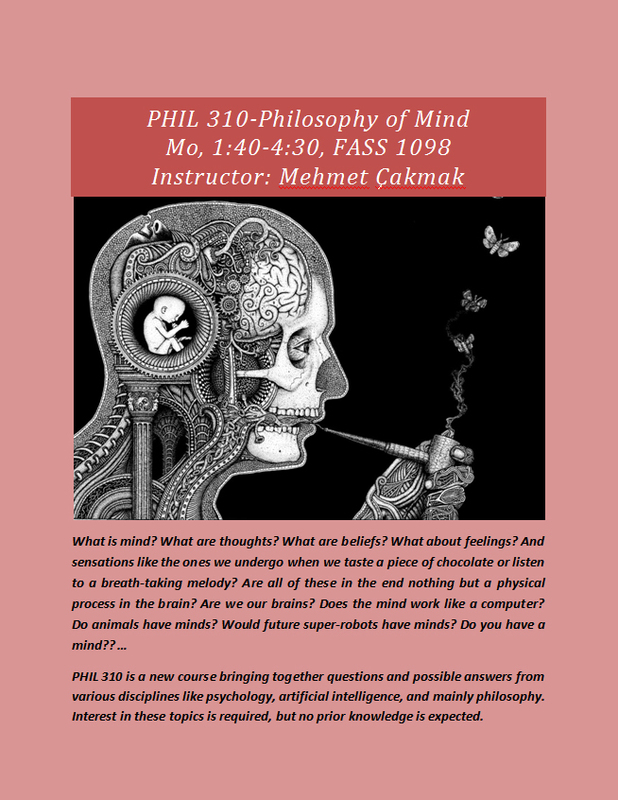 In this course, we will try to understand and characterize mental states; these are states like perception, thought, belief, desire, decisions, fear, love, pain, etc. First we will address the relation of mental states to brain and the physical world and discuss major theories of the so called mind-body problem. Then we will consider two influential views on mind: Computationalism (computer model) and connectionism (artificial neural networks model). Mental states have two features that cause problems for any theory trying to integrate mind in a physical world: Being about something and being conscious. We will finish the course by exploring various approaches to these features as well as arguments based on them.